Big data is valuable. Our benchmark research shows that using big data analytics results in better communication, better alignment of the business, a competitive advantage, better responsiveness and decreased time to market. But big data comes in many forms, from many sources and is not always easy to work with. These complexities have caused many organizations to become too reliant on IT for big data analytics. 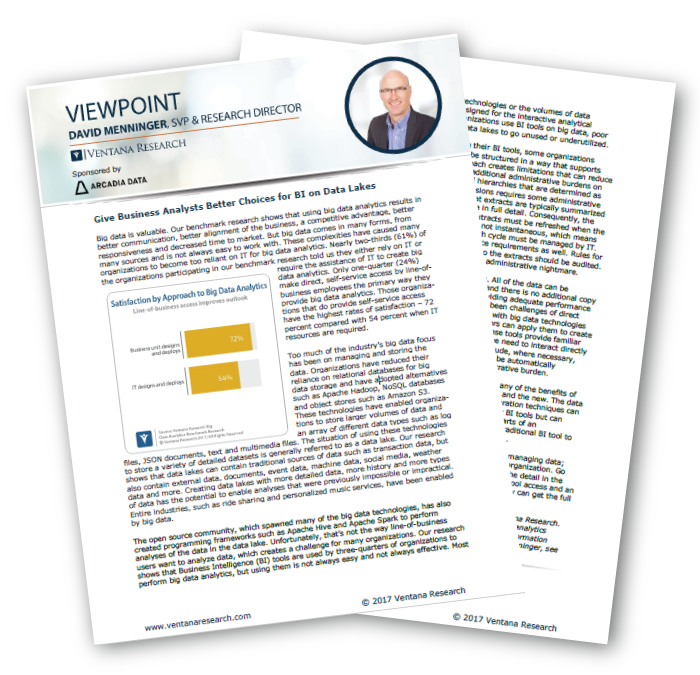 Download the Viewpoint, and improve your big data and data lakes today.